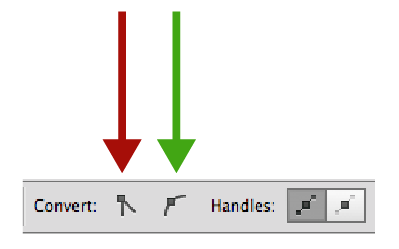 Is there a way in Adobe Illustrator to delete all the Bezier curve handles at once from a path? 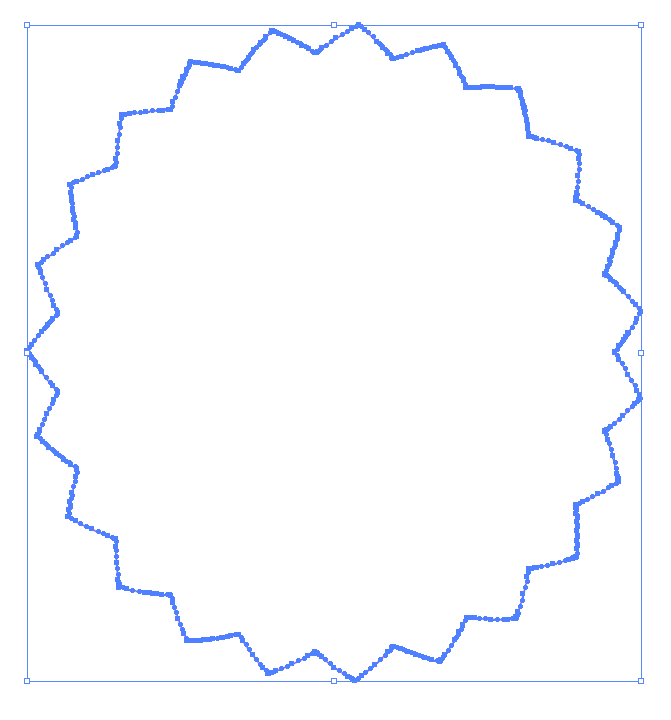 I created a pattern brush which consists just of a geometric path (without any bezier curve, just straight lines). 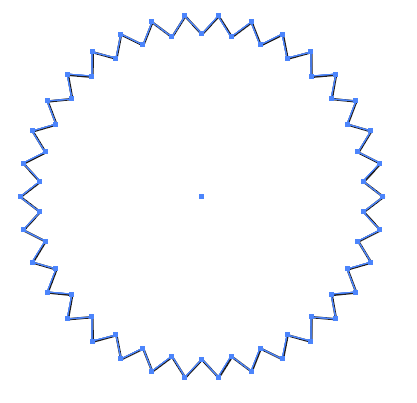 After I used that pattern brush on a circle, Illustrator created bezier curves to fit the pattern around the circle. 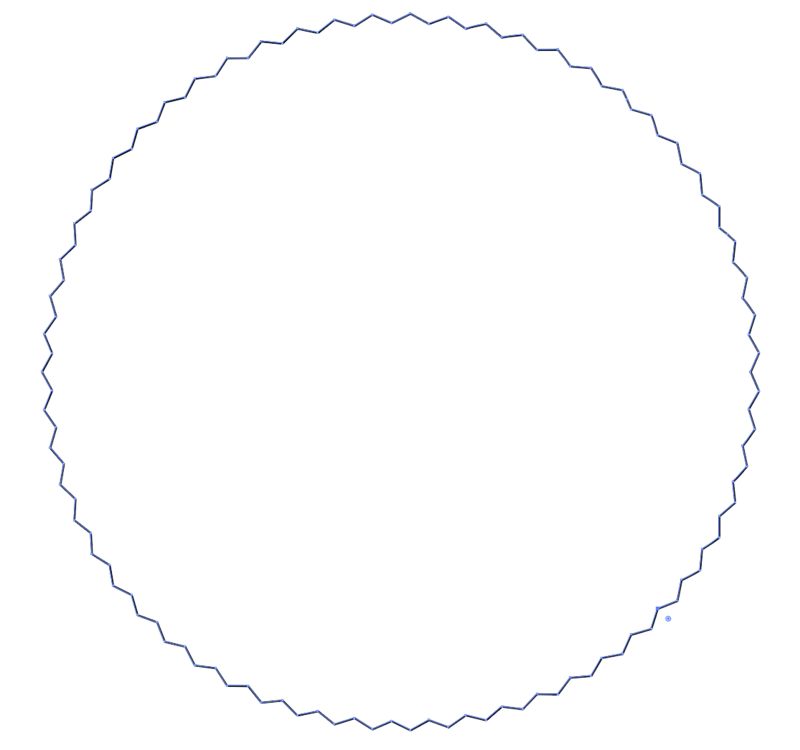 I would like to get rid just of the bezier handles all at once, so it leaves me with the path around the circle with just straight lines again. I can and will of course do it by hand, but I wonder if there is a way to automate that "clean up" process and get rid of all of them at once? On the top options, click first the Convert selected anchor points to smooth button, the green arrow on the image. On the top options, click the Convert selected anchor points to corner button, the red arrow on the image. Not asked, but obviously you need a big star with quite small radius difference. 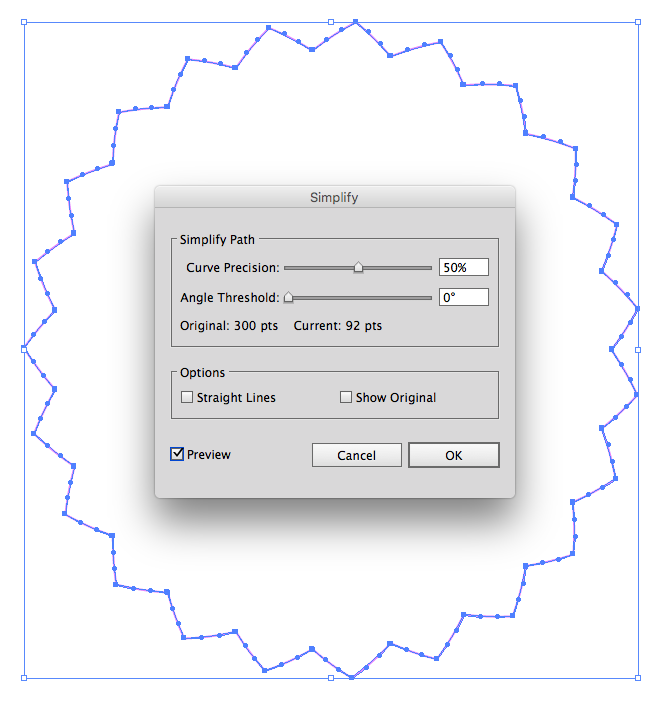 Use the star tool for it. Don't use a brush here. Under the "Points" area, be certain Corner is selected. Then click OKAY. 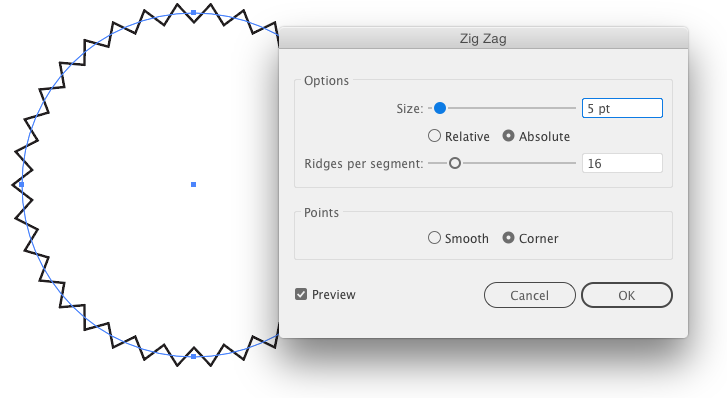 If you then need access to the anchors for the zig zag, choose Object > Expand Appearance otherwise you can go back and edit the zig zag whenever needed by clicking the item in the Appearance Panel. 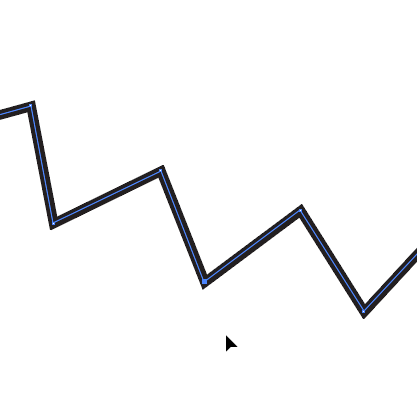 You are left with the zig zag and corner anchor points, no curves. Not the answer you're looking for? 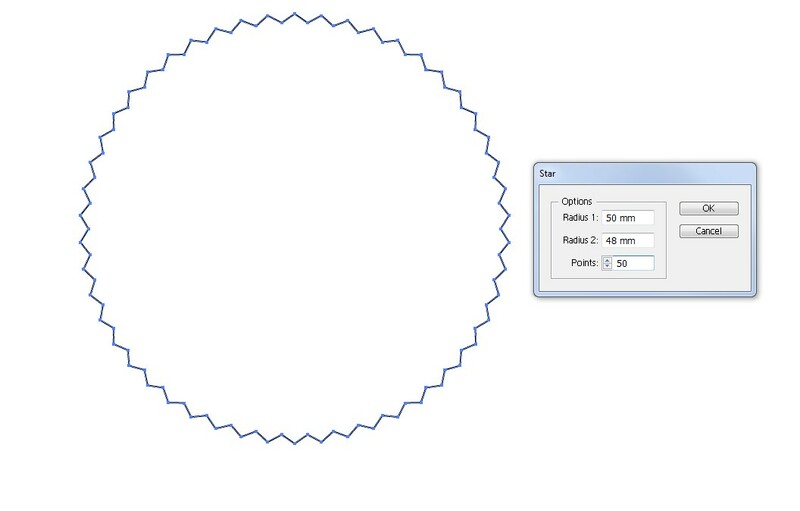 Browse other questions tagged adobe-illustrator path bezier-curve or ask your own question.